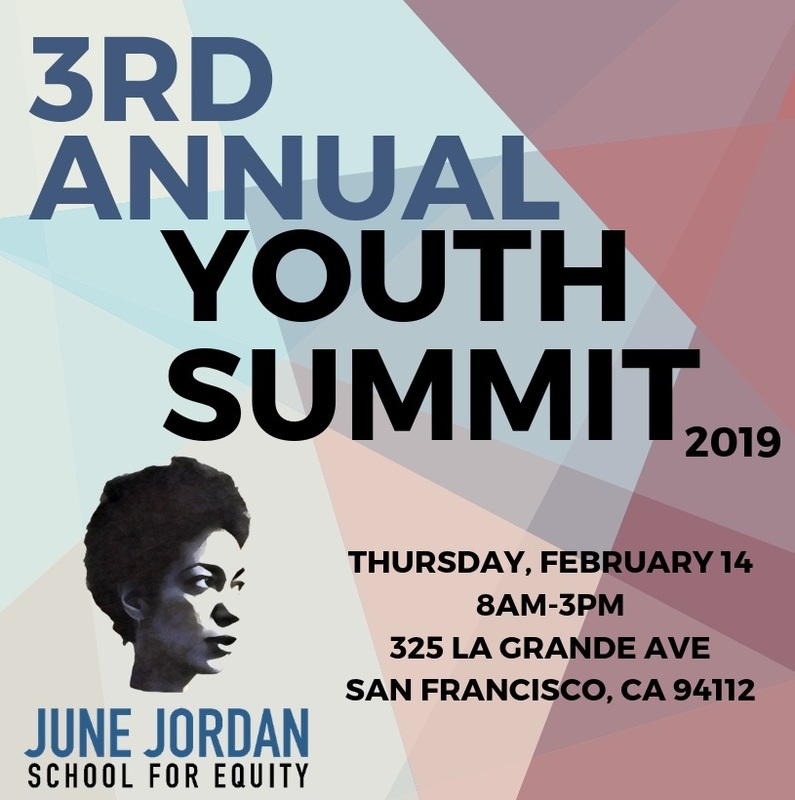 San Francisco, CA, February 6, 2019 - Students from SFUSD high school, June Jordan School For Equity, will be hosting their third annual Youth Summit on February 14th, 2019, with the theme “Love is Resistance”. The event is citywide with over 600 elementary, middle, and high school students expected to attend. The Youth Summit aims to hold space where young people can build better relationships with other youth across the city, stand in solidarity with one another, and make the connection of shared struggles that many youth experience. This year’s Youth Summit community partners will be able to offer resources, program information, internship/employment opportunities and summer programs and jobs for students. Youth will also be able to access services and resources from community based organizations that can also provide support to their families. Having students come together to talk about the various forms of oppression they deal with can raise awareness to people in positions of power, and start the process of creating change within the school district. Supervisors Gordon Mar, Ahsha Safai, and Matt Haney are expected to attend. Students speak up and speak out against the injustice that they face everyday living in the Bay Area. Hundreds of students from all over SFUSD gathered for the second annual June Jordan School for Equity Student-Led Youth Summit - Strength in Numbers.